Lingual Braces in Tweed Heads will give you something to smile about. But what if you don’t want to smile? What if you are too self-conscious to smile? Having crooked or crowded teeth, overbites, underbites or incorrect jaw positioning can really impact your self-confidence. Whilst we all know what braces are, the majority of adults that would benefit from braces are usually just as self-conscious about the time period spent with braces on their teeth as they are about the crooked teeth themselves. You might never have seen a lingual brace, and that’s the beauty of them. Unlike conventional braces that are noticeable, lingual braces are designed to be discreet and unseen. So, what are Lingual Braces and where can I get them? Lingual Braces are quite simply braces that are placed behind the teeth, by the tongue and palate, as opposed to the front where they are visible. At Invisible Lingual Braces, our Orthodontist has over thirty years of experience and training in the field of Orthodontics. 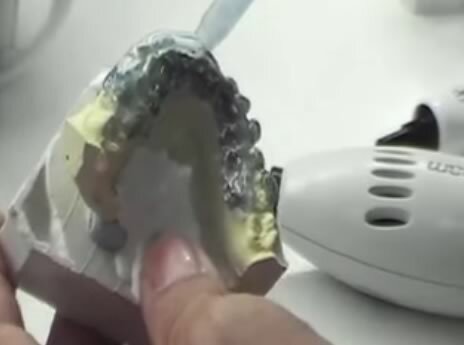 Each and every day Dr Wong is working with lingual braces, so his expertise and skill could not be matched by a general dentist that works on a variety of dental issues from day to day. Lingual braces sit behind your teeth and most people find them more comfortable than conventional braces. Lingual braces are not visible, perfect for those that don’t want people to know they have braces, plus the bonus the patient can start seeing results almost immediately. Lingual Braces in most cases are even quicker than conventional braces, especially with the suresmile technology. Lingual Braces will not obstruct your smile and there is no difference to the profile of your lips. They are a discreet brace that sit nicely behind your teeth. Whilst braces will give you that smile you’ve always wanted, you might be a bit cautious about what the future may hold. 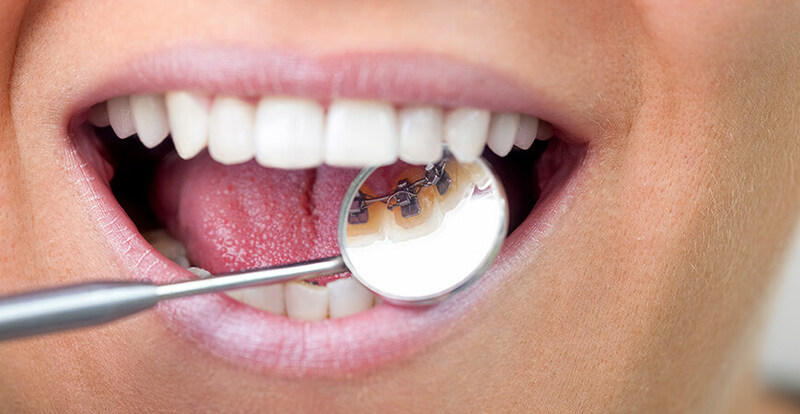 Our Lingual braces treatment is usually completed in approximately 12 months. Don’t want to wait for the perfect smile? Even if you’re getting married, going to prom or have any other great photo opportunity coming up, Lingual Braces can be the perfect solution. With Lingual Braces, you will see the effects of the braces without them needing a permanent record of them on camera. So, smile with confidence. Lingual Braces, uses suresmile technology, custom made for each patient to improve precision and reduce time in treatment by up to 50%. Our work is not to just straighten teeth, Dr Wong, our Orthodontist, designs the perfect smile according to your lips and face. Each patient’s treatment will differ based on their unique requirements. Dr Wong wants to make a beautiful smile affordable and if you’ve already looked elsewhere you’re going to love the prices at Invisible Lingual Braces. With our interest-free payment plans, you can start seeing results before you have even paid. At Invisible Lingual Braces in Tweed Heads, we know that money does not grow on trees. We want everyone to enjoy the confidence you get with straight teeth, that’s why we provide interest-free payment plans through Denticare, giving you even more to smile about. Lingual Braces are a popular choice for anyone that is concerned about the appearance of braces during everyday life. Our surgery in Tweed Heads is only 10 minutes from Coolangatta near the Gold Coast airport and 45 minutes north of Byron Bay. Call the orthodontist at Invisible Lingual Braces in Tweed Heads, near the Gold Coast for a discreet alternative to conventional braces, and get the smile you’ve always dreamed of.